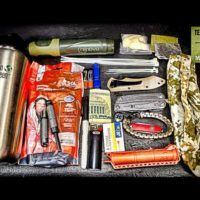 Sensible Prepper Presents: The "Self Defense Cache Bag". Having a back up when it comes to Self defense is a no brainer. Here's an idea that I've been implementing for about a year and decided to share it. Could somebody send me a link for the bag please? +jeremy67A it’s not a condor. Now that reminds me, a GPS might be handy. Btw, I hope you didn’t hide yours in one of those 200 caches, along with the location coordinates to find each one lol. i would drop the eye pro, get more of an inclusive medical kit that includes a touriquet or two, a set of gloves, a needle T, a headlamp, a chest seal, duct tape, and an izzy dressing. 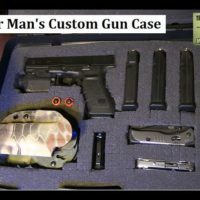 This seems like a kit that you would use to grab and use for an immediate action and after that you need to treat the aftermath. -a few high calorie power bars. Their insignificant weight and volume will never betray their potential usefulness, so toss a few in there. -a small pill bottle or tiny zip-lock bag for a few Benadryl and aspirin. I’d ask myself, ” What tiny stupid thing would I likely be kicking myself for not carrying?”. This is the type of thing that qualifies. would a couple of tampons for bullet wounds and their intended purpose be practical? I just saw this video. 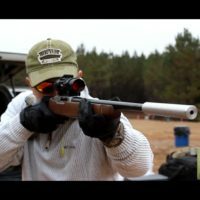 This is good info and I have something similar I use. The only think I would suggest you consider is adding some Datrex survival bars and a half dozen SOS Emergency Drinking Water Pouches. You should have room with the other gear in that same bag. They both have a long shelf life and are recommended for ocean survival. You can eat or drink on the go should you have to do a lot of moving in the beginning and this would keep you mobile longer before you have to worry about the necessities. Looks like just the right combo. Well done, thanks. Always a fire starter and muti-tool, Always!!!!!!! Thanks Pal. I’m crazy I guess…i just keep one on me all the time. One of my partners was assassinated while he was on the toilet before getting ready for patrol one day. So yeah, even in the bathroom. dude,you are the only guy I know with the voyager,besides me,mine is the gunsight edition, what a great knife. My get home bag is the echo sigma range bag,with redundant knives,lights,123’s,etc. on any given day I am 50 miles from home.I even keep snacks and drinks with me,just in case.